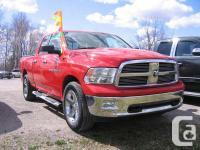 Ram 1500 SLT Crew Cab Big Horn with 5.7L V8 Hemi, 8 Gear Automatic Transmission, Comfort Group, Remote Starter amp; Anti-theft Group, Rear View Camera, Park Assist Group, Class IV Hitch Receiver, Trailer Brake Control, Premium Cloth Front Bucket Seats, twenty Chrome Wheels. 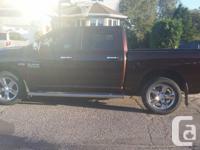 STK #6RAM 2 is available for sale in Toronto, Canada. 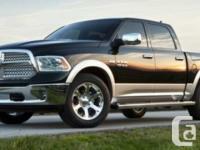 Price : $40, 488+HST amp; LIC Ram 1500 SLT Crew Cab Big Horn is available for sale in Toronto, Canada at reasonable budget. 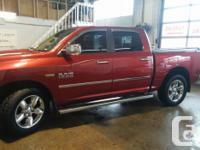 If you are interested to buy visit our website : http : //www.scarsviewchrysler.ca or contact us at 1-888- 16-5 12.